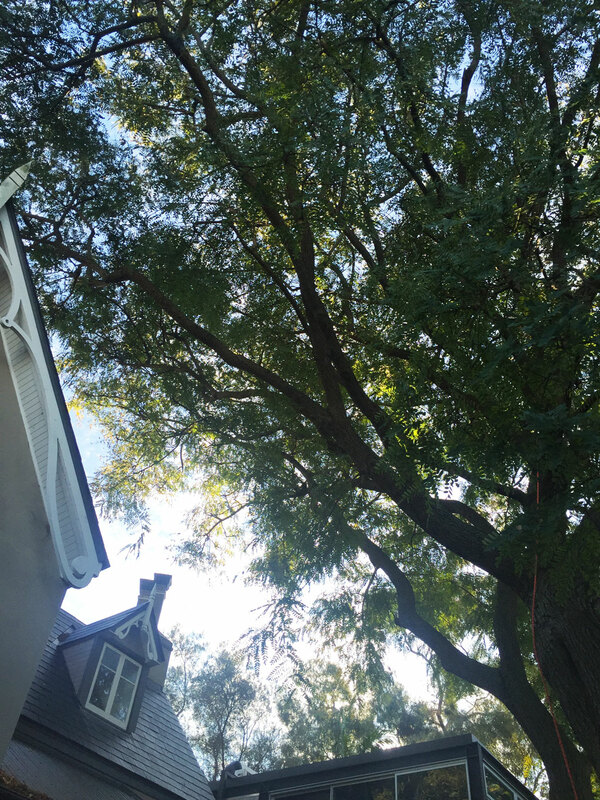 This Robinia was the largest we have ever seen at 18m high, expanding 5 properties in Newtown, with a canopy width of over 30 metres. 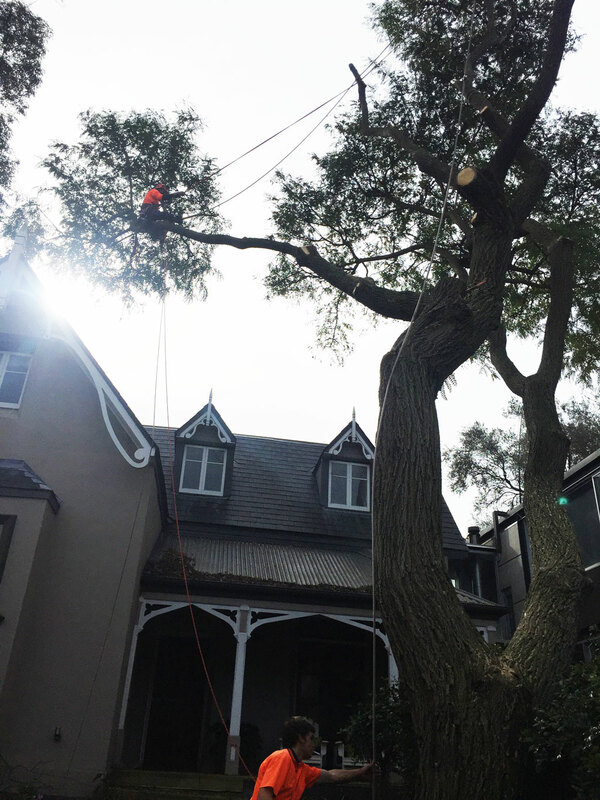 It took over 2 days to dismantle and remove this tree, however we were able to do the task with no damage to any property and were duly thanked by yet another happy customer. This photo shows how much space is opened in the court yard. 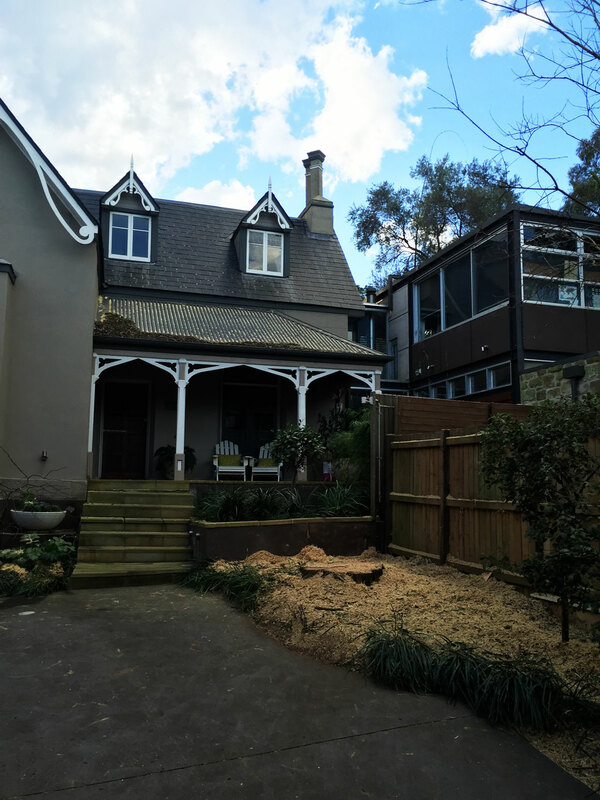 See the Robinia tree down the end? That’s the one we’re going to remove. Look at how many branches over hang the building. This isn’t going to be an easy task! 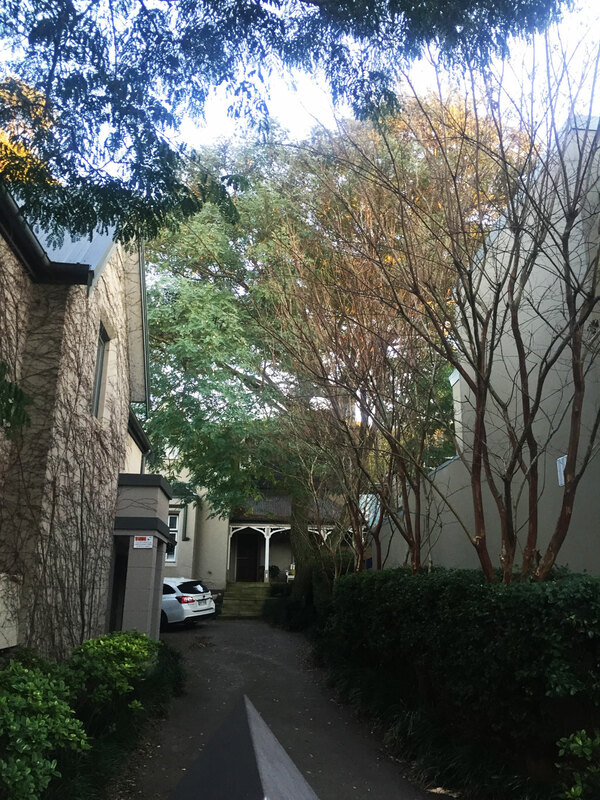 It pays to have qualified, and fearless, arborists do all the tree surgery.